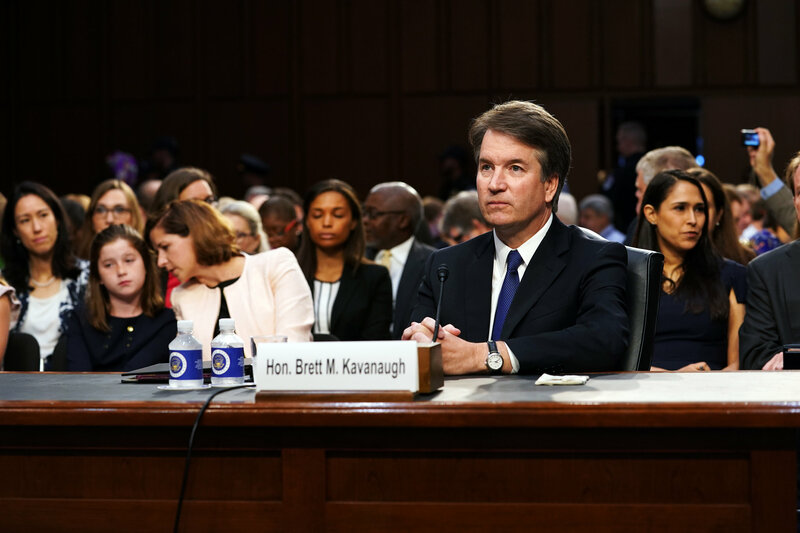 Confirmation hearings for Supreme Court nominee Brett Kavanaugh have started. If you live in Oregon, ask Senators Merkley and Wyden to stay strong and thank them for speaking out against Kavanaugh. Call your senator now and urge them to reject Brett Kavanaugh’s confirmation to the Supreme Court. The labor movement’s momentum on working people’s rights is under attack. And with the start of Brett Kavanaugh’s nomination hearings, working people are stepping up to stop Kavanaugh from being confirmed. Working people demand a Supreme Court committed to upholding the rights working families are working so hard to protect. Brett Kavanaugh’s record depicts a justice who will habitually rule against working people and in favor of greedy corporations. The Senate should oppose Kavanaugh and demand a nominee who will protect the rights of working people—from safe, dignified working conditions to collective bargaining for better benefits, including access to a full range of health care—instead of further tilting the economic playing field. It’s up to each of us to make sure our legislators hear from workers—loud and clear—right now. Call your senator now to stop Kavanaugh’s confirmation as Supreme Court justice. Two champions for working people – State Rep. Rob Nosse who represents parts of South and North East Portland and State Rep. Teresa Alonso Leon who represents Woodburn join us to talk about their experience running for office and serving in the legislature as union members and advocates for working people. 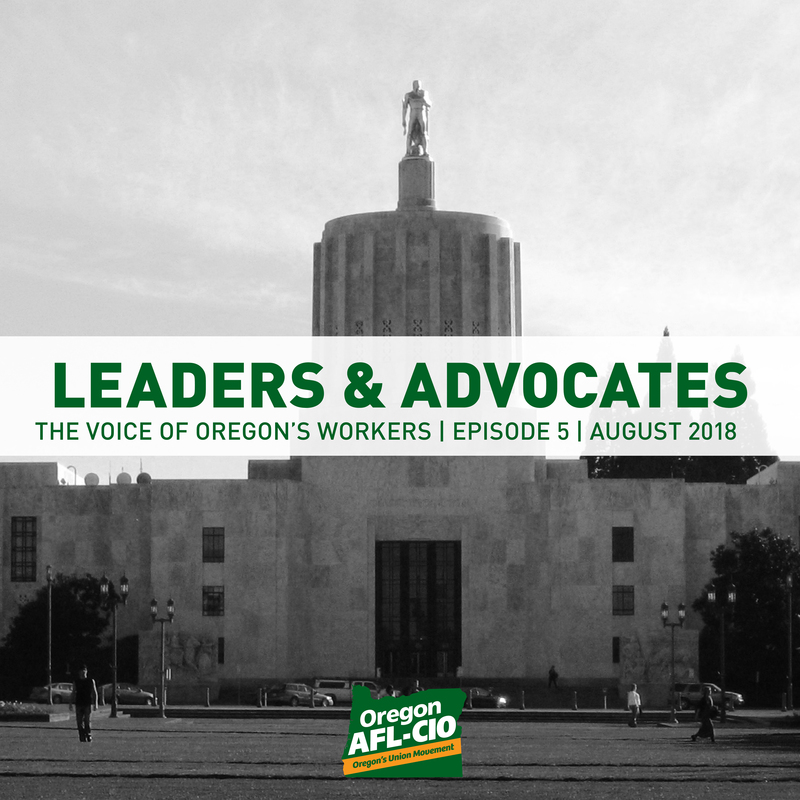 Click here to listen to the latest episode of The Voice of Oregon’s Workers, our monthly podcast. 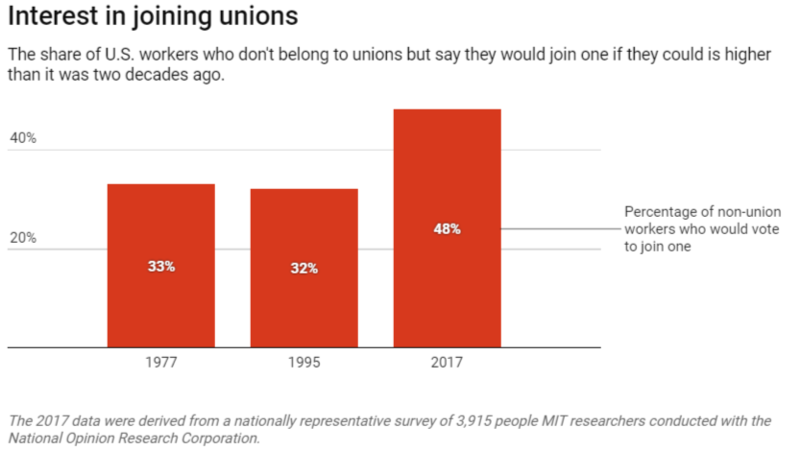 These numbers and graphs point to a simple idea that we are seeing gain traction among more and more workers: standing together in a union is the single most effective way for workers to advocate for themselves on the job. If you’re interested in joining a union or starting one at your work, get started today by clicking here. 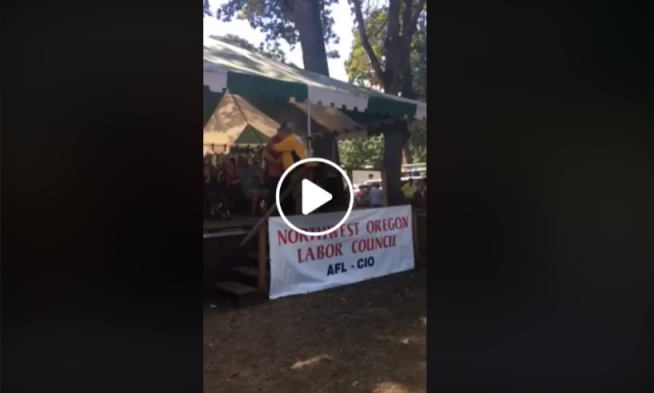 On Monday, Oregon AFL-CIO President Tom Chamberlain addressed attendees at the Portland Labor Day Picnic, hosted by the Northwest Oregon Labor Council, click here to watch his speech. Yesterday, the National AFL-CIO launched a new 60-second TV ad airing on CNN, MSNBC and Fox News, highlighting the wave of collective action surging across the country and inviting all working people to join our movement. From the resounding defeat of “right to work” in Missouri to organizing victories nationwide, we are marching forward together. Working people in communities across the country displayed that energy this weekend. From a surge in organizing and collective action on the job to fights against an anti-worker administration and major victories at the ballot box, we are making our voices heard. What’s more, working people are just getting started. We won’t let up until we secure our fair share of the immense wealth that we create every day.